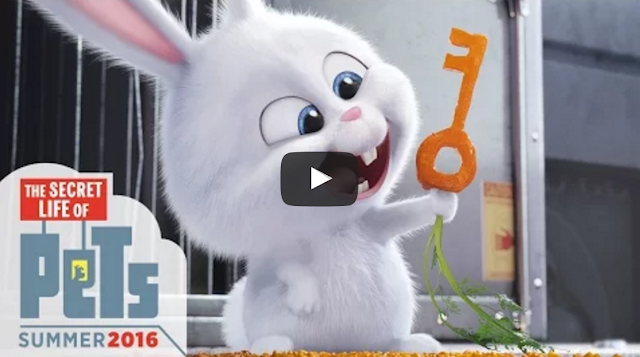 Get to know Snowball the bunny (voiced by Kevin Hart) in the latest trailer for the upcoming 2016 animated comedy The Secret Life of Pets, which comes to theaters on July 8th, 2016. "Taking place in a Manhattan apartment building, Max's life as a favorite pet is turned upside down, when his owner brings home a sloppy mongrel named Duke. They have to put their quarrels behind when they find out that an adorable white bunny named Snowball is building an army of abandoned pets determined to take revenge on all happy-owned pets and their owners."